Atletico Madrid remain on top of the standings in La Liga after their 7-1 victory last weekend. Last week’s showing in the Spanish La Liga added more fuel to the fire in the debate of which is the best league in world football. Log-leaders, Atletico Madrid, did a “Barcelona” over Granada, winning the match 7-1; while the Catalans produced an Atletico-like performance against Deportivo, hammering them while also keeping a clean sheet to end the game at 4-0. Real Madrid, on the other hand, were back to their usual self, thumping Real Betis 6-1 in a game that saw Zinedine Zidane’s men take a 4-0 lead at half-time. Away from the top three now as Sevilla claimed their first away win in 17 months and Villarreal remain just two points from the top after their 5-0 win over Celta Vigo. That said, Gameweek 9 of La Liga is upon us with some exciting matches to look forward to. Osasuna claimed their first win of the season when they beat Eibar 3-2 away from home on Monday night. At the El Sadar Stadium, though, Los Rojillos are yet to pick up their first win, losing and drawing two apiece of their four games. Real Betis were on the wrong end of a Real Madrid whiplash as Gustavo Poyet’s side went down 6-1 at home. It became their second loss on the bounce and fourth in total for the season so far. This is certainly not the most ideal fixture to kick-start the weekend. That said, Under 2.5 Goals is the tip at 7/10. Espanyol enter Gameweek 9 once again flirting with the relegation zone. However, back-to-back draws against Las Palmas and Villarreal, shutting out both teams in 0-0 stalemates shows that Quique Sanchez Flores’ side are moving in the right direction. Having said that, the hosts are still in search for their first home victory. Eibar fell to their third defeat of the season as they failed to build on their 1-0 lead, eventually suffering a 3-2 loss at home. After a bright start, Eibar are now winless in two La Liga games and will need a solid performance. Espanyol may have won this fixture last season, but I foresee a solid comeback from the away side. Eibar on the Win/Draw Double Chance is tipped at 7/10. And as I predicted last week, Valencia produced the goods to come away with a 2-1 win at Sporting Gijon. It was the Bats’ third win in four games, with a 2-0 loss to Atletico Madrid their only setback. Barcelona were back to their resilient best, humbling Deportivo to a 4-0 scoreline. Lionel Messi returned from injury and sealed off the win with a great left-footed strike. This fixture is probably the cause of Gary Neville being sacked by Valencia in the past, with Barca winning 7-0 in the Spanish Copa del Rey. Apart from that result, Valencia have managed to keep Barca at bay, being undefeated in three of their last four encounters against the Catalan club, winning 2-1 at the Nou Camp in their last head-to-head. Call me crazy, but I see Valencia earning a share of the spoils in this one. Back the draw at 39/10. Real Sociedad have been one of the most inconsistent teams in La Liga this season. If you’re one for following patterns then Sociedad should claim all three points this weekend. When the Royals lose, they win the next game – crazy, right. Alaves, on the other hand, sit firmly in mid-table, winning just one of their four away matches. That win wasn’t against anybody, though, Alaves upset Barcelona 2-1 for their only away triumph so far this season. A win for Sociedad would see them leapfrog their opponents in the league. Eusebio Sacristan’s side have been much better at the Anoeta Stadium and I’m expecting the abovementioned pattern to continue in Sociedad’s favour. Back the home win. 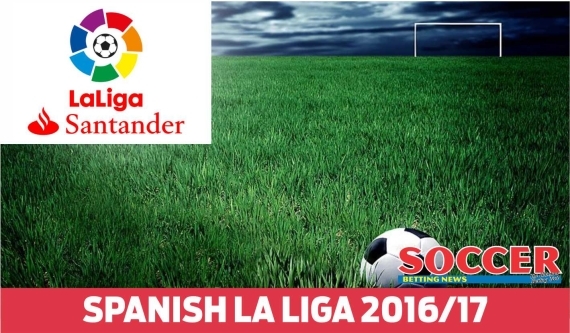 Saturday’s La Liga action ends with a relegation dogfight between Granada and Sporting Gijon. The former lie rooted to the foot of the table, losing four consecutive matches and come off the back of a humiliating 7-1 defeat to Atletico Madrid. Sporting Gijon have been none the better. Despite a decent start in the beginning of the season, Gijon now find themselves in 18th position, losing five games on the trot. At least one of their poor runs will end. Granada went undefeated against Gijon in the league last season and will have home advantage to back them up. I hope I don’t regret this, but my money will be on Granada to pick up their first win of the season this weekend. Twelfth-placed Celta Vigo come off the back of a disappointing 5-0 defeat away to Villarreal. In that game, the Sky Blues made plenty of schoolboy errors to put the game out of touching distance. They were 2-0 down in the space of 11 minutes and never looked like getting back into it. Their opponents, Deportivo, come off a hammering themselves, losing 4-0 at the Nou Camp to Barcelona. Depor have now lost 50% of their games, going down four times in eight matches. Away from home, Gaizka Garitano’s men are still in search for their first victory and could find it tough against Celta who have won their last three home matches in a row – including a 4-3 win over Barca. Get on the home win at 15/20. Off the back of their first away win in 17 months, Sevilla return to the Ramon Sanchez Pizjuan Stadium, where they have won all four of their games this season. They welcome an Atletico Madrid side who are in superb form this campaign. Atleti sit comfortably at the top of the table, winning five of their eight games, drawing the other three. This promises to be a feisty clash between two Argentine managers in the form of Jorge Sampaoli and Diego Simeone. Sampaoli is the more attack-minded of the two, while Simeone plans to shut out his opponents. If you’re looking for goals here, you’re in the wrong place. Avoid picking a winner in this one and instead back the Under 2.5 Goals market at 7/10. Villarreal kept up their magnificent form, winning 5-0 in front of their home supporters against a dismal Celta Vigo side. The win ensured that the Yellow Submarines remain undefeated in the league. At the Estadio El Madrigal, Villarreal have been ruthless, winning three of their four matches, putting 10 goals past their counterparts, while conceding just twice. Las Palmas have been poor of late, failing to win in their last four matches including three consecutive draws. If form is anything to go by, then Villarreal should wipe the floor with them. Back the Yellow Submarine at a decent price of 7/10. Thirteenth-placed Malaga have been far from their best this season. The Boquerones scored in the 85th minute against Alaves to end the game level at 1-1. The match got heated in the second half, especially in the 90th minute where two red cards were handed out by the referee. Malaga playmaker, Juanpi, was one of those players and will miss this clash. Leganes have been inconsistent this season, but away from home is where they have been at their best. Three wins from four away games makes Leganes a team to be feared on the road. Malaga haven’t been convincing, therefore, I’m backing Leganes on the Win/Draw Double Chance at 17/20. Real Madrid end the week off with a home tie against Athletic Bilbao. Los Blancos claimed their first win in four matches, ending a run of three consecutive draws. The ‘BBC’ combination of Karim Benzema, Gareth Bale and Cristiano Ronaldo all got on the scoresheet in an emphatic 6-1 away win. Athletic Bilbao came from a goal behind to claim a much-needed 3-2 win over Real Sociedad to solidate their position in the top half of the table. That said, Bilbao have now won five of their last six matches in La Liga. Real Madrid are short priced at 1/4 and I’m not entirely convinced that they will win. Both Teams To Score is the safest bet at 7/10.